Step by step instructions to help you design KPIs that can improve the performance of your business. Key Performance Indicators (KPIs) are a great tool for any business, when used correctly. This short e-book (and templates) can help your business to cascade top level targets into meaningful KPIs for each team. If you consider the dashboard in your car you can get a good feel for the approach I take in the e-book. A collection of appropriate, process centric, measures. When read in isolation they don't tell you too much. Put them together and you have an effective tool to help you adjust your process (in this case, journey). This version of the e-book (it is also available from Amazon and iTunes) includes two quick start templates to help you put this approach into practice. It also isn't prescriptive; it doesn't tell you what KPIs to create for which department. Whilst the general operation of businesses are similar, the way that you measure one team compared to another can vary wildly. This e-book guides you through an approach to help you define KPIs that actually help the business to improve. The approach is tried and tested with many of my clients. They have used this approach to convert the executive team's KPIs into process driven, meaningful, KPIs of their own. This has in turn focused their own activities so that they hit their targets and ultimately the business hits its targets. The book comes as a PDF file, suitable for reading on most computers / mobile devices. The templates come as Microsoft Word (DOCX format) files, so that you can edit them to suit the exact needs of your business. 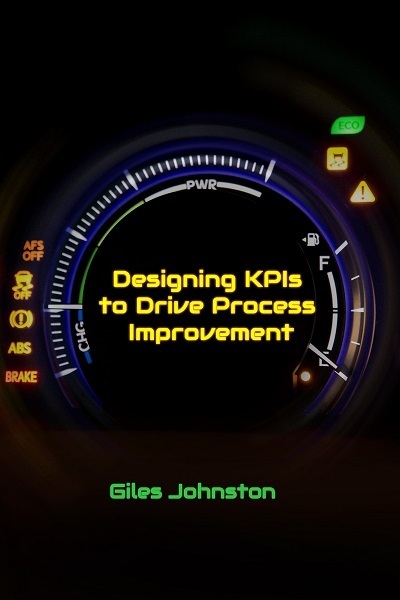 So, if you are looking to implement KPIs for the first time into your business, or you are looking to revamp your current approach then 'Designing KPIs For Process Improvement' will give you a great head start. This e-book, and the quick start templates, are available for immediate download after purchase.